Is Trump Just Going To Campaign for The Next Four Years? President Donald Trump has provoked even more controversy after his weak and waffling response to the recent violence in Charlottesville, using a campaign rally in Phoenix, Arizona to attack the media and declare that he opposes those who wish to remove homages to the Confederacy. Playing to a supportive crowd, the former business mogul criticized the state’s moderate Republican U.S. Senators, John McCain and Jeff Flake, both of whom have vocally criticized his actions, and insinuated that he would give a pardon to right-wing sheriff Joe Arpaio, who was recently convicted of contempt of court in a case over racial profiling. To hit the trifecta, Trump doubled down on his old border wall rhetoric, suggesting that he was willing to shut down the federal government in a future budget fight to secure border wall funding. Trump’s undisciplined comments are not surprising, given his complete refusal to act presidential. What is surprising, and alarming, is Trump’s continued reliance on campaign-style rallies to pursue re-election. Historically, presidents have sought to win re-election by advertising their Oval Office experience and ability to pass legislation compared to their non-incumbent rival. Once a presidential nominee won office, they tended to become, you know, a president. Donald Trump, stymied at every turn by his controversial nature and his extremist proposals, seems destined to forever be running for the job he already won. Having lost the popular vote by a record margin, Donald Trump feels a lingering humiliation. To ease his discomfort, he likes to surround himself by adoring crowds. Normally, presidents remain in Washington to govern, but Congress has made it clear that Trump is unwanted. Kept at arm’s length even by his own party, Trump feels he has little to lose by eschewing the norms of the presidency and replacing his Oval Office desk with a campaign podium. If the former real estate tycoon cannot find respect in our nation’s capital, he will find it among his red state base. After Phoenix, America must brace itself for the rise of the campaign-only president. 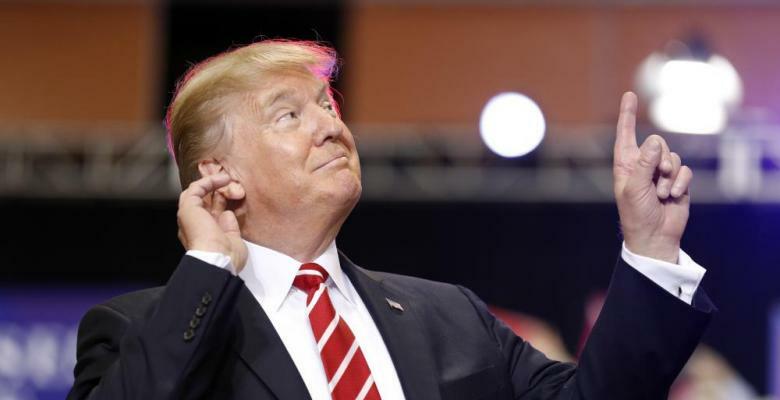 To protect his flank from congressional Republicans who might seek the 2020 nomination, Donald Trump clearly plans to remain perpetually on the campaign trail, cyclically firing up his base and criticizing GOP statesmen who have rejected his leadership. Unless conservatives in Congress unite and offer fealty to Trump, he is likely to spend much of his time canvassing friendly states in order to bask in adulation. Such a maneuver is also a potent power play, for it dominates the media cycle and reminds moderate Senators and Representatives that Trump still commands the bully pulpit. With modern technology, could Trump avoid the White House almost entirely? Gifted with Air Force One and a skilled team of aides and staffers, there is relatively little reason that a president should have to remain in his office. In the past, presidents have conducted much important business far from the White House: Peace accords have been struck at Camp David, World War II was guided from Tehran and Yalta, and Cold War icons met in Iceland. Is there any piece of data or equipment a U.S. president could possibly need that is only available in Washington, D.C.? Of course not. The president, if he or she wished, could live a nomadic existence, much like a touring rock star. Every week, the commander-in-chief could play to a new crowd in a city that voted for him, always ensuring plenty of cheers. The idea is unorthodox, but intriguing. As America’s partisan divide grows, will future presidents follow Trump’s lead in seeking frequent recharges from adoring fans? Even Democratic successors may desire to leave D.C. for cheering crowds in New York City, San Fransisco, or Seattle. Unfortunately for Trump, his focus on basking in the crowd’s admiration may do little to secure his re-election. Instead of trying to shore up his slipping support in swing states, Trump appears focused on visiting safe territory, where crowds will cheer instead of jeer. While these presidential visits may intensify support among devout Trumpers, they will do nothing to win crucial swing states. Ironically, it was Trump’s broad appeal, not intense appeal, which led to his upset victory in the Electoral College in the first place. The president should be flying to cities in swing states and trying to play the uniter, not stoking the culture wars. But where Trump will likely fail, future presidents will succeed in dramatically changing the job. To guarantee a second term, post-Trump presidents may spend lots more time visiting diverse parts of the country and participating in campaign-style rallies. These will be not-so-subtle warnings to Congress to play ball on legislation…or face the ire of a president whose frequent rallies dominate the media focus. The president will no longer have to outwit and out-hustle Congress on the political court that is D.C. – he or she can change the game by making the entire nation the political court.